The Junior Section at West Bradford is for players under the age of 18. It is a growing area of the golf club, with thirty-five current members ranging from age 5 up to age 17. Junior Members have access to group coaching sessions, coaching Summer Camps during the school holidays, and regular social evenings. Junior coaching at West Bradford is organised by our resident Head PGA Professional Mark Tyler. Group coaching takes place every Saturday afternoon either on the practice area, on the course, or in the hi-tech, on-site Performance Studio. Coaching SUmmer Camps also take place at the golf club throughout both Easter and Summer school holidays. West Bradford Golf Club take child protection very seriously. Junior Members have their own separate changing rooms complete with lockers. West Bradford also has an appointed Child Protection Officer with an up to date CPD Certificate. 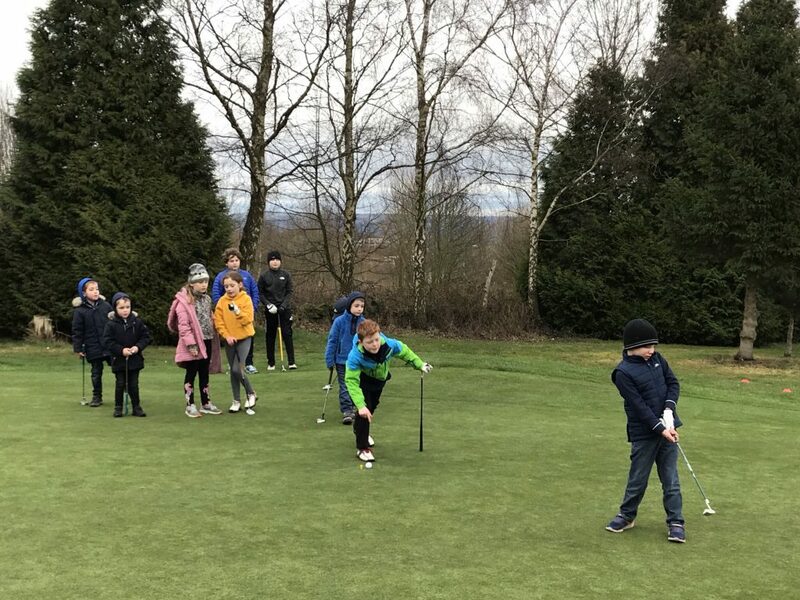 Junior Membership of West Bradford Golf Club is free for junior golfers up to the age of 12 years old, and costs just £60 per annum for juniors between the ages of 13 and 17. Junior Membership allows full access of the golf course and the clubhouse. For more details about Junior Membership please contact the general office. An online Noticeboard can be accessed by Junior club members - just log in and visit the Juniors Section page, on the Members Intranet.